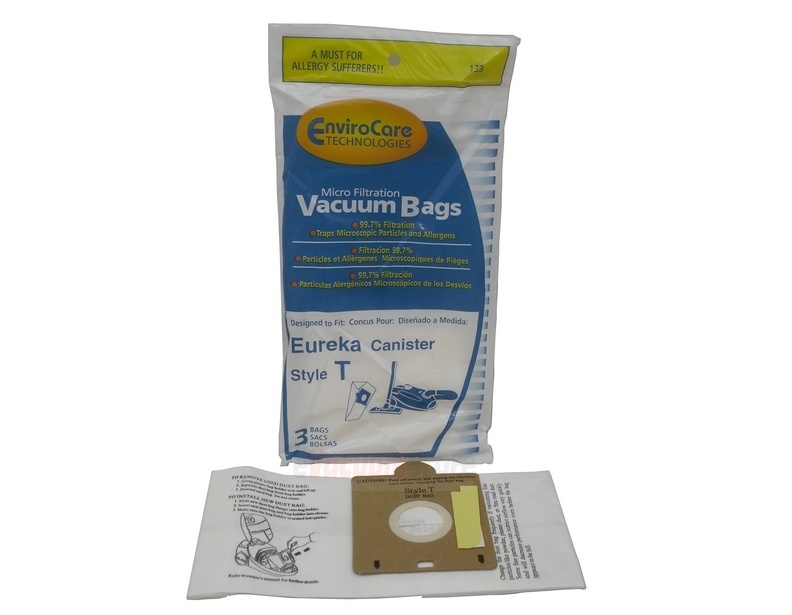 These Eureka CN-3 style vacuum bags are designed to trap 99.7% of dirt, dust, and allergens. One package includes three bags. CN-3 style bags can be used with GE and Eureka models 6820, 6820AD, 6825A, 6826A, and 6826A-1. We carry a complete selection of generic and genuine Eureka vacuum cleaner bags for all models. For more information about these bags or any of the other products we carry, please call (866) 972-8227.